Are you concerned about the chemical ingredients that was used in your daily routine product?Especially in your body wash, hair shampoo and also your lotion. Products that contain chemical not going to help with restoring our beauty. So we might need to look into our products ingredient and avoid some ingredients for example paraben, mineral oils, and silicone. But You want something that is natural and still in your budget because sometimes natural could be pricey. 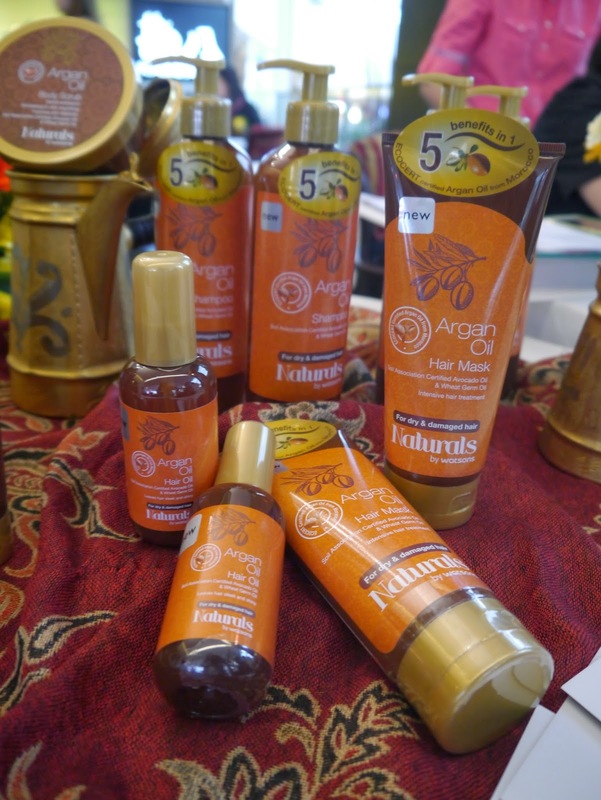 Don't worry today I'm going to introduce to a range of product that has ecocert certified organics argan oil. And thanks to Watson, they are affordable too. Now you can purchase a range of Ecocert certified organic argan oil products for intense revitalisation of your skin and hair. 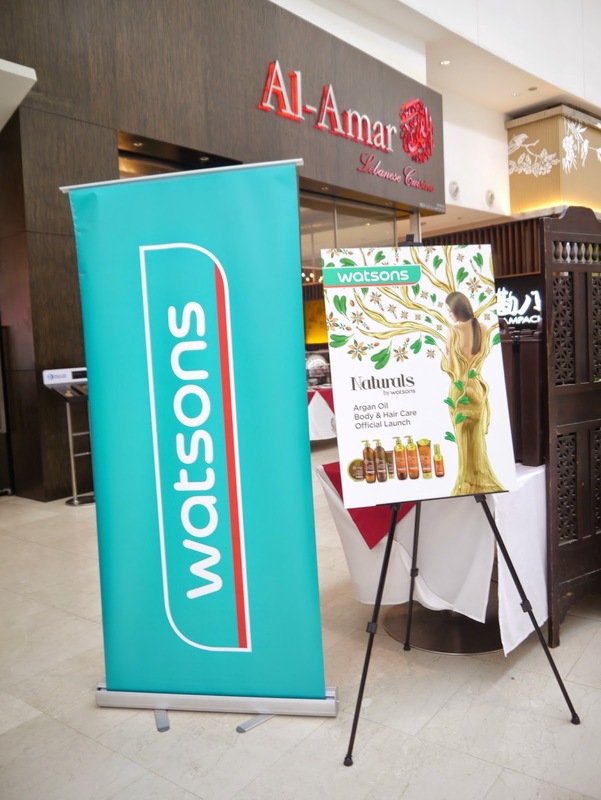 Yesterday, Iw as invited to Naturals by watson argan oil body and hair care range media launch. This product range are formulated with ECOCERT certified organic argan oil which is rich in essential fatty acids and provides necessary nutrition and protection to nourish body and hair roots to tip. It also consist of Soil Association certified organic avocado oil and wheat germ oil to help to heal dry skin and strengthen hair while restoring hair's natural shine. Not forgetting to mention that this product range is free from Paraben, mineral oils, silicones, sodium lauryl sulcate and colorant. Besides that, these products are not tested on animals. So it is a complete natural product range. Argan oil is originated from Morocco. 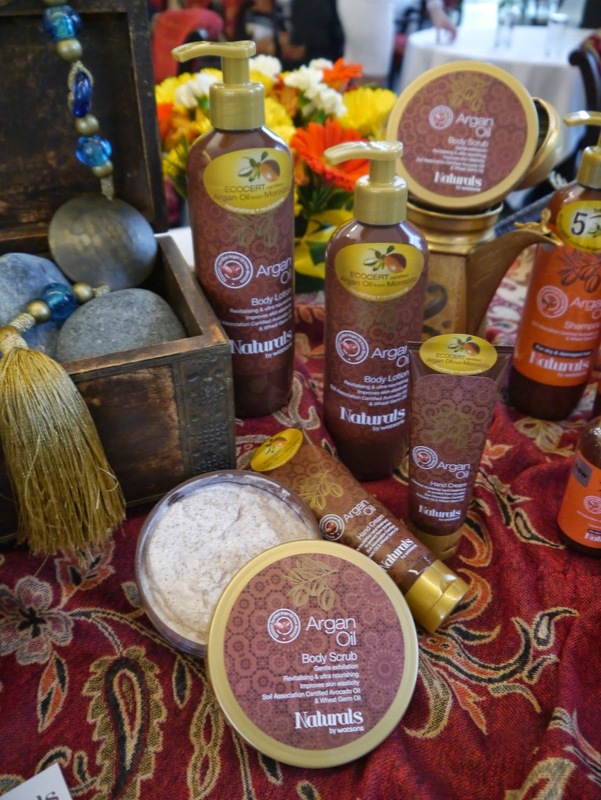 Argan oil is the secret of healing moroccan women from the dry, arid climate of the sahara desert. Argan oil has the rich source of vitamin E and essential fatty acids, so it works for dry skin or hair problem. At the launch event, celebrity host Reem Shahwa and Megan tan shared their beauty regimen and how natural products can further boost individual's appearance. We got the chance to enjoy polaroid instant photo session and also hand massaging by Watson promoter. Check out my hand massage session, I really like the smell of it, and it run on your skin easily, and surprisingly my hand absorb the hand cream and I can see my skin is smoother. Pretty model posing with Naturals by watson Argan oil body and hair care.